Slim bathroom storage cabinet by OakRidge™ fits in the narrowest bathroom spaces yet provides storage galore! Compact design features a lid that lifts and locks in place to reveal 2 easy-access 6″ wide x 4″ deep x 9″ high compartments. Pull-out drawer features 2 shelves for essentials and a 5 1/4″ sq. 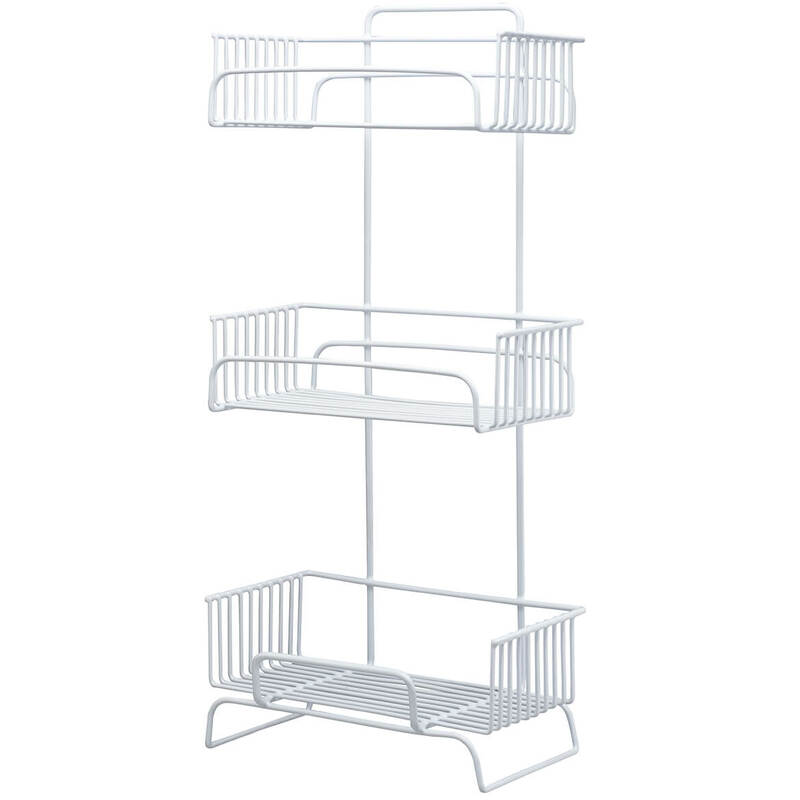 x 16″ high cubby perfect for stacking tissue rolls. White design with silver-tone handle complements any décor and is constructed of sturdy MDF. Bathroom cabinet measures 7″ wide x 20″ deep x 23 1/4″ high overall. Shelves are 11″ long x 5″ wide x 4 3/4″ high and 11″ long x 5″ wide x 11″ high. Compare at $149.99! 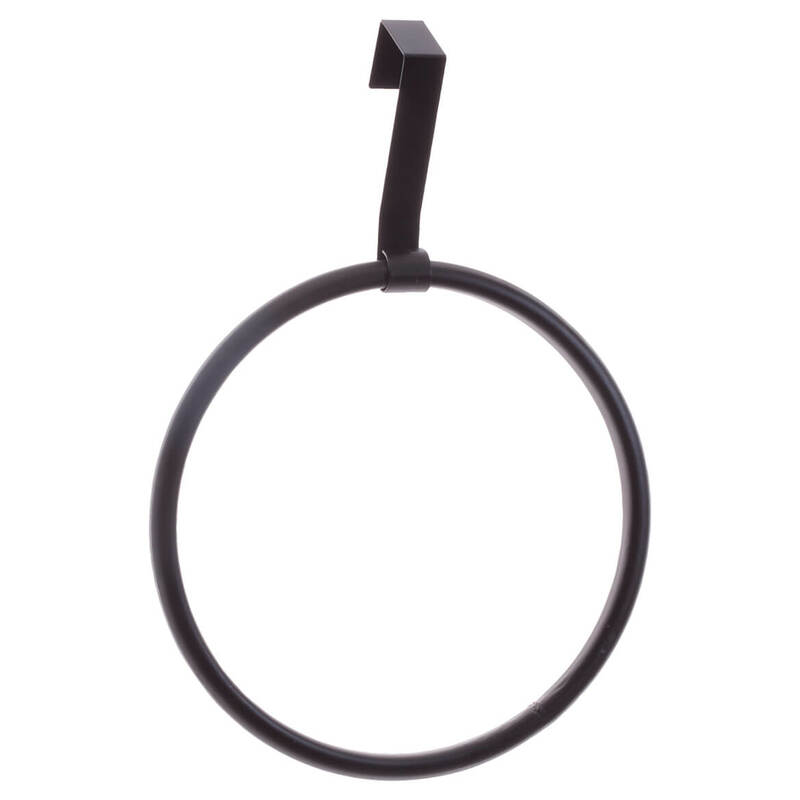 Designed to easily to hang over any cabinet door, this over-the-cabinet towel ring offers quick, custom hanging space in kitchen, bathroom or laundry room. A smart way to create extra towel storage and convenience, the towel holder simply slides on and off—no tools, nails or marks on your cabinets! Crafted of durable metal with classic black finish, it blends beautifully with any décor. 6 3/4″ dia. ; 9″ long including hook. This clever bathroom soap dish drains excess water right into the sink, so soap stays firm and lasts longer. Designed in thick, durable plastic, our soap saver soap dish features a suction cup to keep it in place. Also has posts to hold soap securely and a spout to direct water into the sink. Our soap holder keeps counters dry and cleaner too! 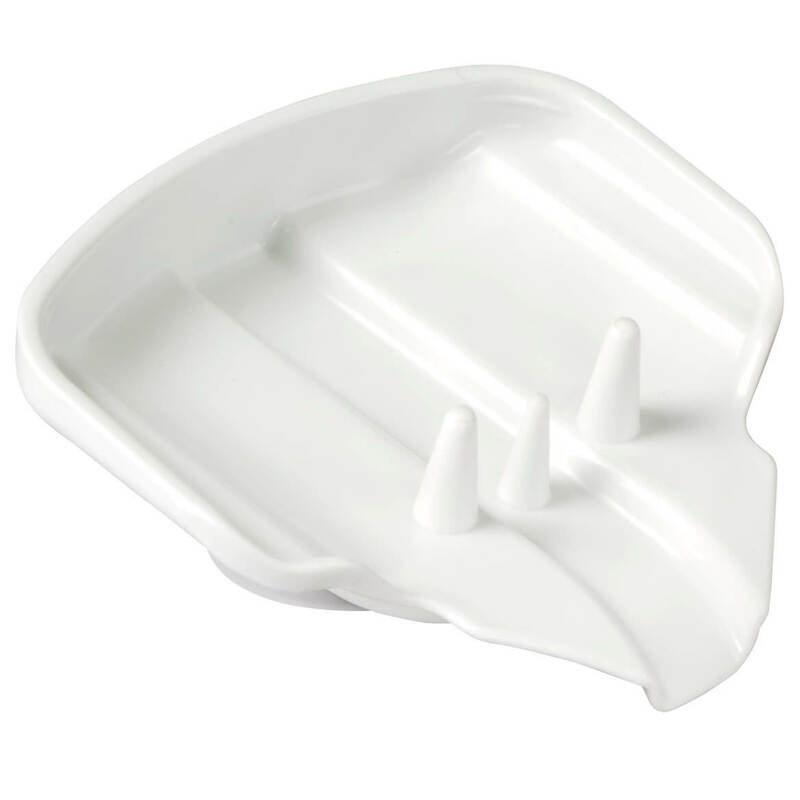 Soap saver dish is approximately 5 1/4″ wide x 5 3/8″ long x 2 3/4″ high. Utilizing the area over your toilet, this space-saving over-the-tank storage stand by OakRidge™ creates storage for towels, soaps, magazines and more—without sacrificing wall space! Classic white scroll design enhances any décor, providing one generous shelf, plus optional magazine rack which slips onto either side to accommodate your space. Lightweight steel stand matches our OakRidge™ toilet paper holder (sold separately); smooth white finish simply wipes clean. Assembles easily in minutes; includes hardware. 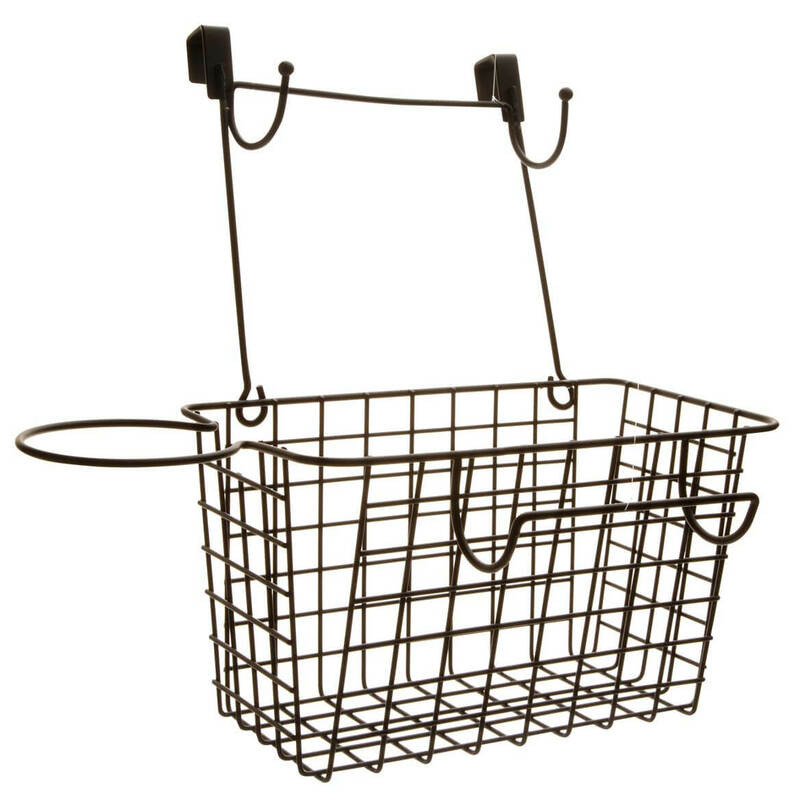 Wire storage rack measures 20 1/2″ long x 10″ deep x 33 1/2″ high; magazine rack holds standard 8 1/2″ x 11″ publication. A bounty of fresh salsa ingredients adorns this personalized Farmers Market Salsa soap/lotion dispenser. The illustrations wrap all the way around the sink soap dispenser, so you can enjoy the images from all sides. Makes a great, useful accent next to the kitchen sink. Personalize with a single initial to create a unique gift. Ceramic soap dispenser measures 3 1/4″ diameter x 6 3/4″ high. Dishwasher safe. Please allow an additional 2 to 3 days for personalized items. No returns on personalized items unless the item is damaged or defective. Personalized glass vanity tray makes an elegant initial impression. 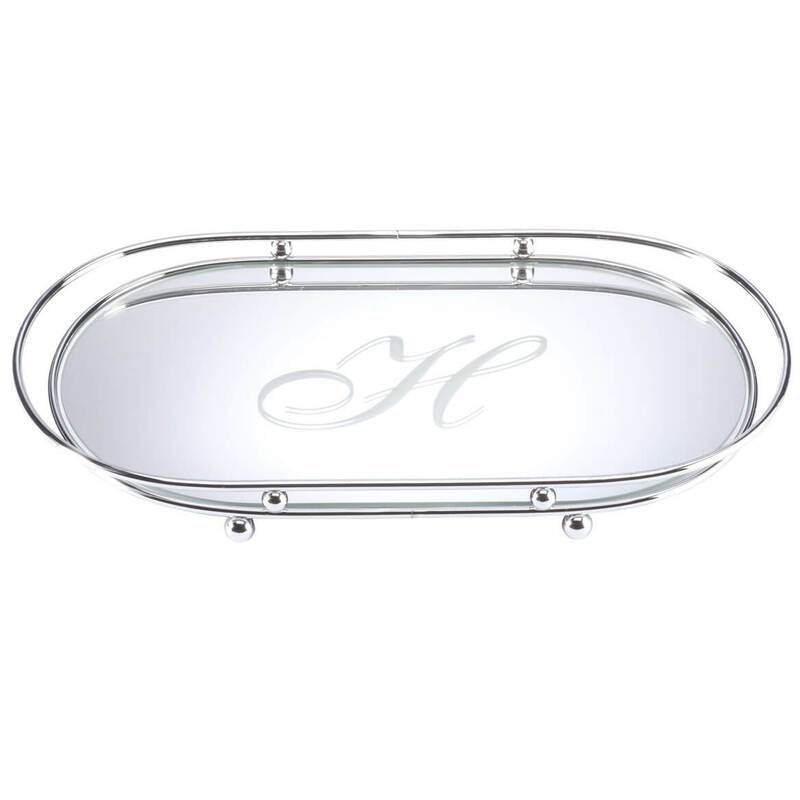 From its mirrored surface with scripted initial to its stylish chrome rim, this classic tray is a beautiful place to organize fragrance bottles on a dresser, moisturizer on a nightstand, or soaps and towels in a guest bathroom. Makes a thoughtful gift! Personalize this glass tray with a single initial; specify letter. Mirror tray measures 15” long x 8 1/2” wide x 1 1/2” high. 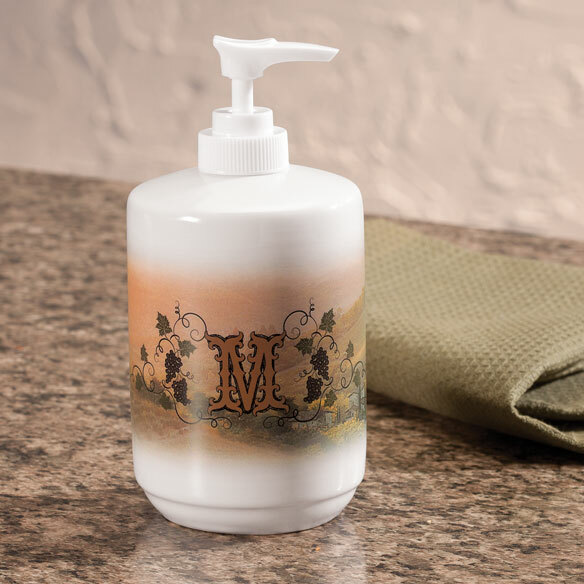 Ethereal Tuscan imagery transforms this personalized Tuscan Sunset soap/lotion dispenser into a work of art. Put it next to your kitchen sink to add an elegant accent to your counter. The image wraps all the way around this ceramic soap dispenser, so you can enjoy the scenic design from any angle. Personalize with a single initial and fill the dispenser with a favorite soap or lotion to create a wonderful personal gift. Dishwasher safe. 3 1/4″ diameter x 6 3/4″ high. No returns on personalized items unless the item is damaged or defective. Please allow 2 to 3 days for personalized items. Trust man’s best friend to guard your soap and your jewelry! 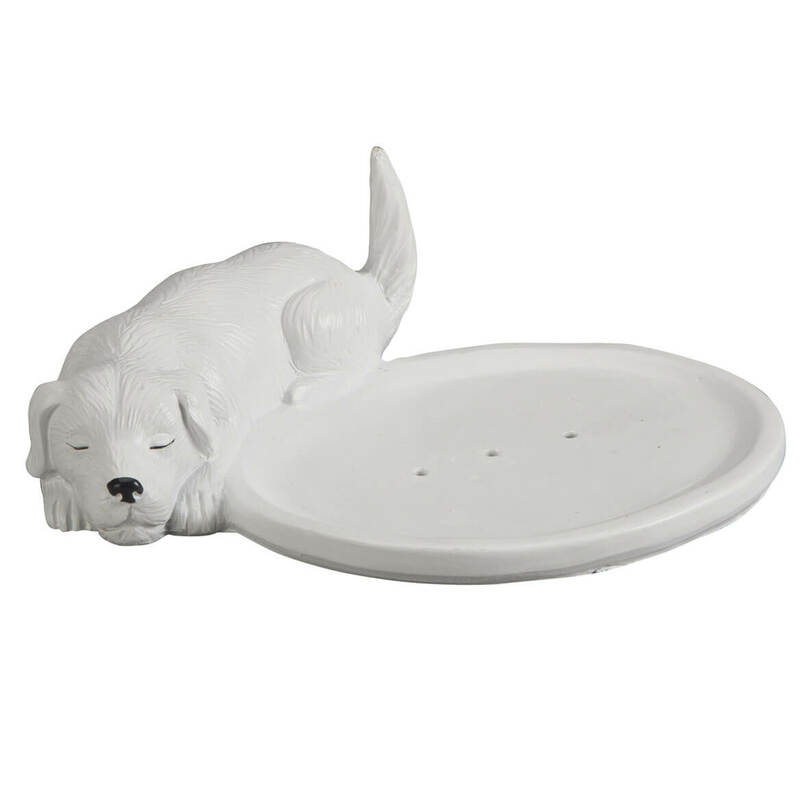 Crafted of high-quality resin for lasting durability, this playful pup’s 1 1/4” high tail holds your rings while you wash. 5” long oval soap dish features holes for self-draining convenience. 6 1/2” long x 5 3/4” wide x 2 1/4” high. A smart option for small spaces, our 3-tier bath tower offers convenience in a slim tower of white—storing towels, toiletries, tissues and bath essentials on three open, slotted tiers. 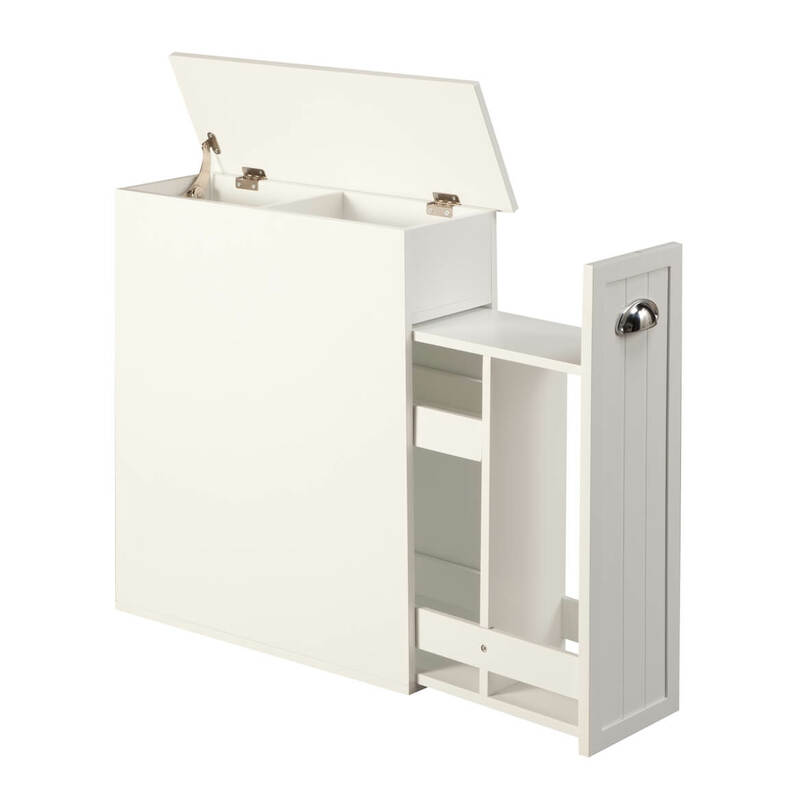 Fitting nicely into tight corners and smaller powder rooms, the freestanding bathroom tower arrives fully assembled. 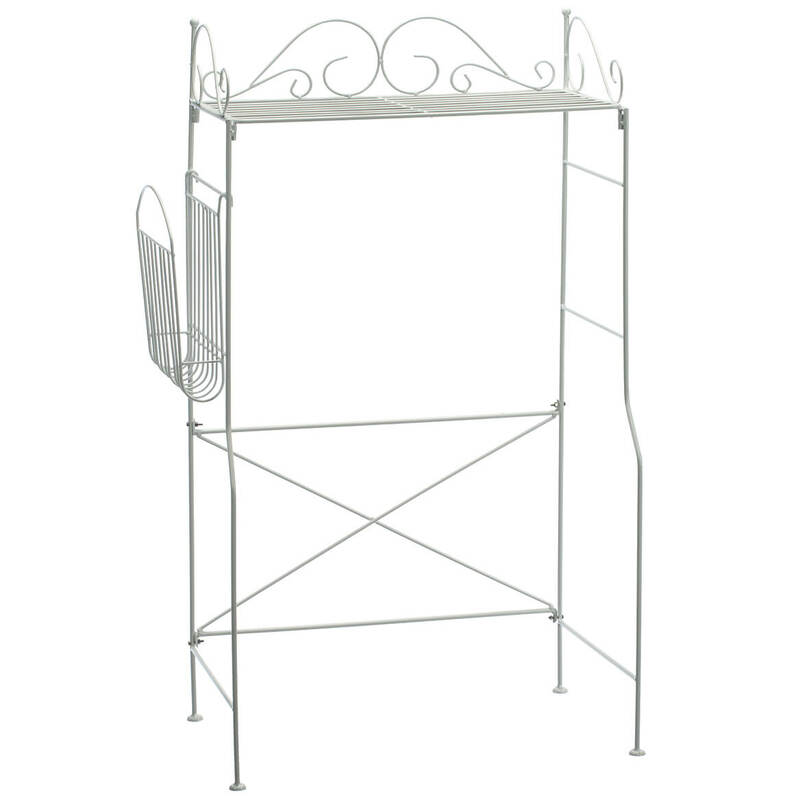 Bath tower made with poly-coated wire for rust-resistant durability. 11 1/2″ long x 6 3/4″ wide x 24 1/2″ high.